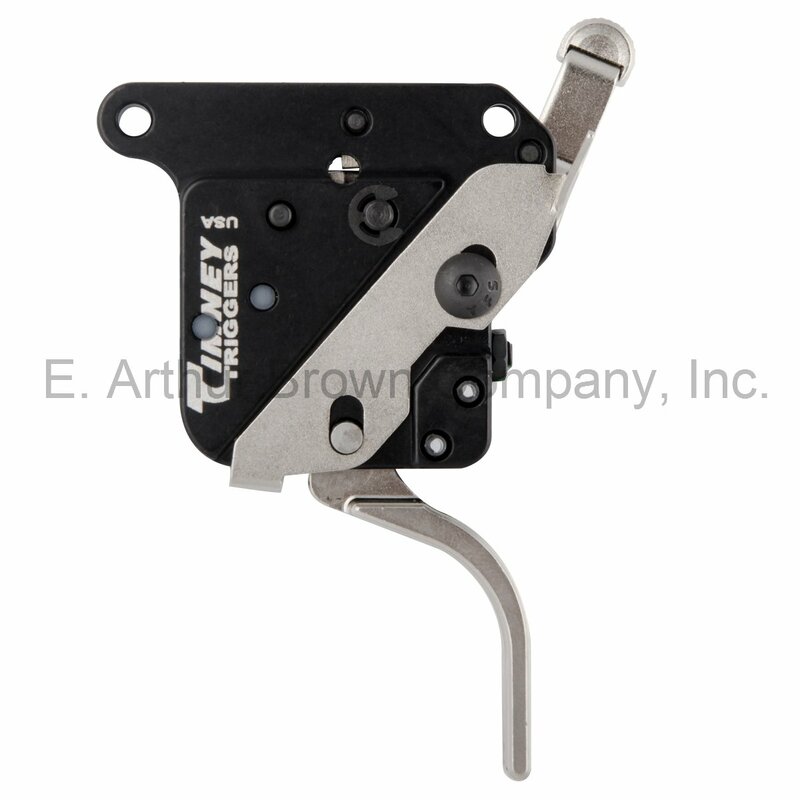 Complete Replacement of Trigger and Safety System, Adjustable 1.5-4 lb. The "Straight" Timney Triggers for your Remington 700 will give you a perfect trigger pull for your best accuracy potential. Adjustable for take-up, over-travel, and trigger pull weight from 1.5-4 lbs, these triggers are held to far tighter tolerances than factory triggers... The geometry on these triggers is held to within .0005 inch (5/10,000ths of an inch) for consistent fit and function! 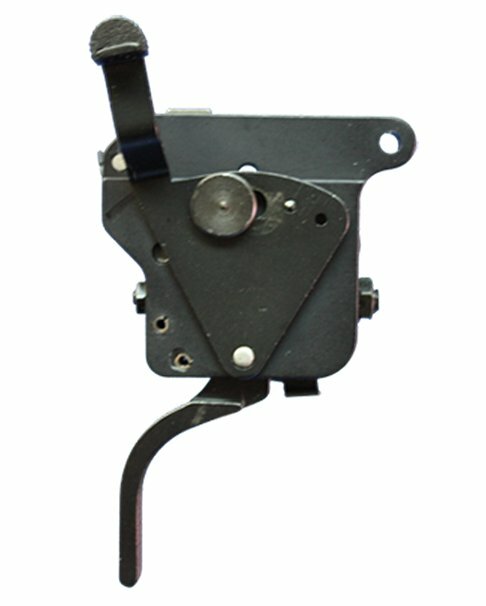 There are also two main design differences in the Timney Triggers vs the Remington factory triggers: First, the trigger is made from a solid block of heat treated steel with no "connector bar". Second, the Timney Triggers have a completely different and superior safety design that blocks the trigger, not the sear. There is no way to move the trigger when it is on safety, so when you take it off safety, it remains in the same position. (BUT REMEMBER: Never trust ANY safety... Always keep every firearm pointed in a safe direction). I always upgrade OEM stock parts, in this case the Rem X-Mark Pro trigger (not under recall) with the Timney RH nickel straight/flat trigger - what a nice improvement! I left it at factory 3 lb. pull - extremely crisp break and drop-in fitment without modifications. It took a little effort to push 2 pins just enough to remove previous trigger assembly and drop-in with new Timney while keeping bolt stop/release intact. Very satisfied with this upgrade as with my many other Timney triggers upgrades. I used this trigger on a Prarie Gun Works Ti18 in 6.5 STW. This is a Titanium Remington 700 clone before there was a titanium Remington 700. I used this rifle to take my Grand Slam of North American Wild Sheep when it had just a stock Remington Trigger. I only wish I would have changed it out long ago. This is an exceptionally accurate rifle but it is also a light weight mountain rifle using a McMillan Ultralight Edge stock, so it can be a little difficult to shoot well without a really good trigger and this is a really good trigger. I would highly recommend it. This is my go to trigger for any Remington 700 that's not a bench rest gun. I have several on different types of Remington's and they break crisp at 22oz and won't release the sear even with the three foot drop test on the recoil pad. Also, Eabco has them at a great price, best on the web. to E.Arthr Brown, I am very happy with the new trigger I purchased from you.. I tell it was quality as so as i open the package and the instructions that come with it made it very helpful.. I love the fact no creep or travel if it moves it goes off.. I would buy another one in a heart beat...this is a great product that I would recommend to any one who wants to up grade there trigger this is the one.. Thank you for such a great product and fast delivery and such great service!! I wanted a replacement trigger for my Remington 700 budget build. The factory X-mark pro was okay but not what I wanted. I did some searching around and discovered EABCO easily had the best price on this trigger. It was on back order but a week later it was at the front door. After a simple installation and testing for proper function it was time for the range. There is absolutely zero creep in this trigger and no over travel. I set it around 2lbs and its like breaking a glass rod every time. It's consistently awesome. I immediately saw the improvement to my groups. I highly recommend this product and this company!